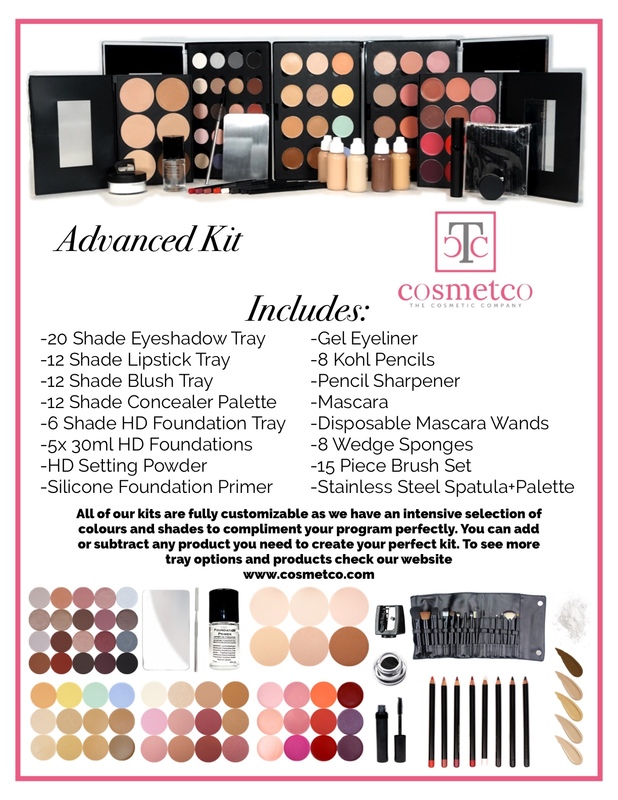 The Cosmetic Company’s specialty is providing Colleges, High Schools and Specialized Schools with the products and tools needed for individualized courses each semester. We work closely with teachers and coordinators to customize kits and supplies according to course, budget, and teaching style. We have been providing these services for the past 30 years and our reputation is unsurpassed. Our products are all top-of-the-line and uses the finest ingredients for colour pay off and quality. 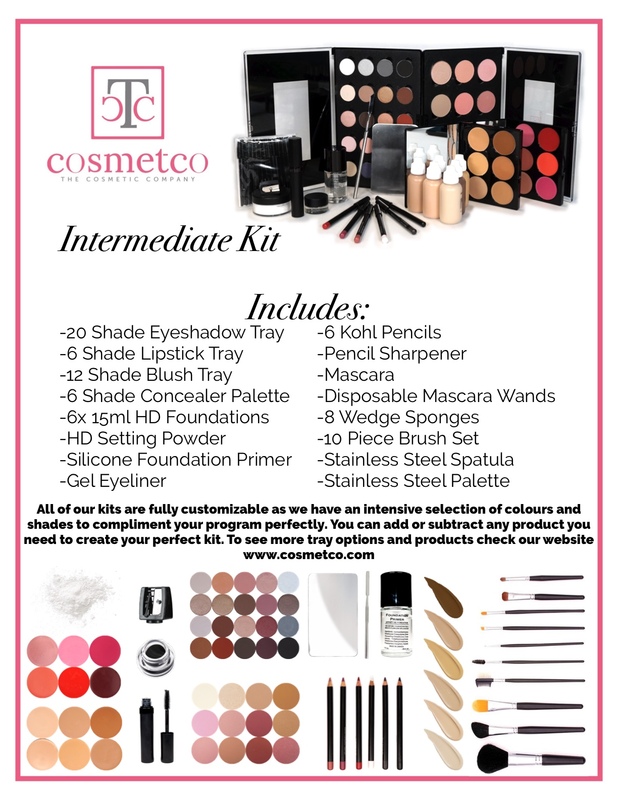 Choose from over 300 colours/shades and product textures and bases to create your ideal kit. Every course kit is unique to its course needs and is carefully put together by our professional staff. Being that our staff is a team of makeup artists, we are able to assist and suggest products and colours for your course needs. The Cosmetic Company goes above and beyond other suppliers by offering complimentary demos, lectures, and product information sessions right in your classroom (or make a field trip to our showroom) by our staff professionals giving the latest tips and trends in the beauty field. This gives students and teachers the opportunity to ask questions to our professionals and get industry and product tips, learn to build their kit (for post graduation), how to market themselves as artists and much more. We offer demos in bridal, high fashion, beauty, evening, and the latest trends. 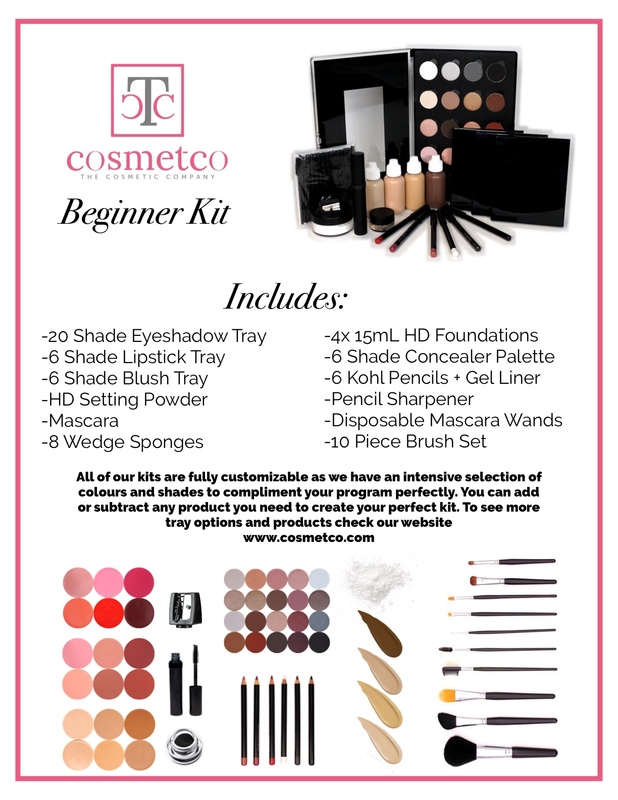 Take a look below at some of our most popular kit items from a beginners kits to an advanced school kit. Keep in mind all colours and foundations and product bases are completely customizable. You’re able to add and subtract any items to create the perfect kit for your course needs and budget. 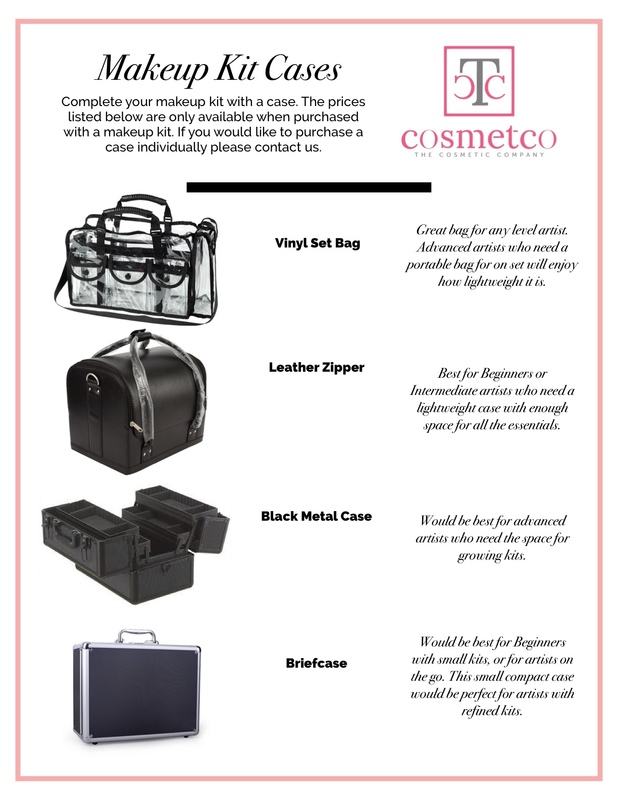 Be sure to take a look at the cosmetic case items to go with your kit.